Thread: Regarding translation issue in Spanish! We have released a new version that provides for multi-language support however there are a number of translation mistakes that have been caught in Spanish. We feel terrible about this as we were responding to our leaders in requesting Heroes Charge in their native language. Thank you for the feedback from all our leaders around the world. Better translation for some words. 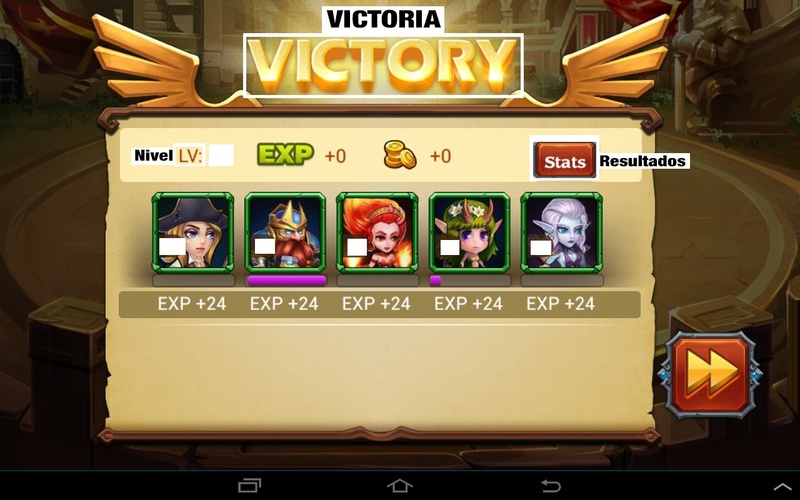 - 'Hembra' should be 'Mujer' (In Valkyrie Showdown) 'Hembra' is used only for animals. And in Spanish is used the 'ñ' character. In the game you see a symbol, but not the letter. NEW RECORD! -> ¡NUEVO RECORD! Level up! -> ¡Sube de nivel! I hope it gets better slowly. It is a great game. Last edited by D.K; 10-28-2014 at 03:40 PM. It would be easier for the community to translate the game if you do like some other companies: release the localization in a plain text file, and let the people translate it. hola.este in my mailbox number 25 and have never given me a solution. Their excuses are 1.hable in English 2.no traductor.3 deal. defines or send image. All that we have sent to you talk to Google and was told that if I see I do not solve my problem .lis sanctioned and I shall command .In addition of heroes lost gems and more .hace a month that I have not purple jewels and my Warriors are attached estrellas.les full image. Hi! There is a lot of help I can give you, but I want to do it in a consistent and responsible way. I can help translating everything, revising all current translations and updating and correcting where is needed. Put in contact with me when you see this post with a PM and let's coordinate the translations. In birth certificates "masculino" (male) and "femenino" (female) is used for gender... In spanish we got a lot of words to say similar concepts. Si hay varias palabras traducidas bastante mal, jugaba en español pero sinseramente había cosas que no cuadran. Así que lo puse al ingles. 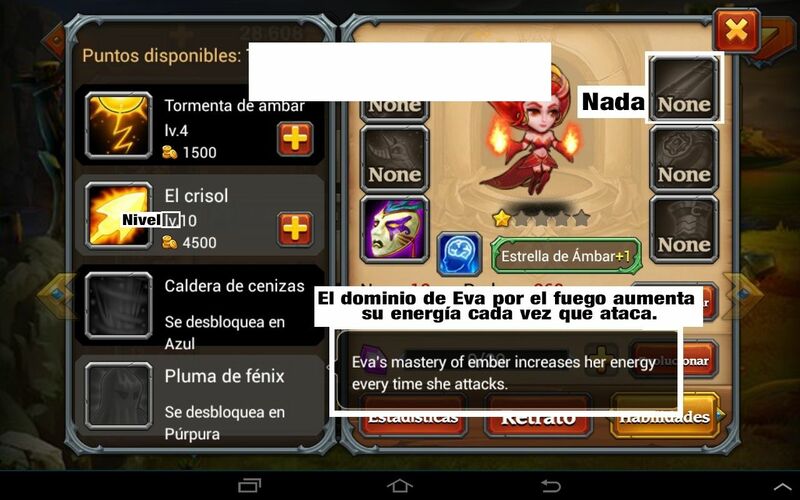 I was playedb with spanish ui but changed to english cuase many words not match with what they describe on skills. I wish we speak spanish can have a good translate. about what i said before was this, this item on user interface (UI) english describe; shoes all around; have stats; strong, intelect and agility, this last word is wrong in the description spanish, habilidad (ability) not mean agility. in my undesrtand ability must increase all heroes skill. 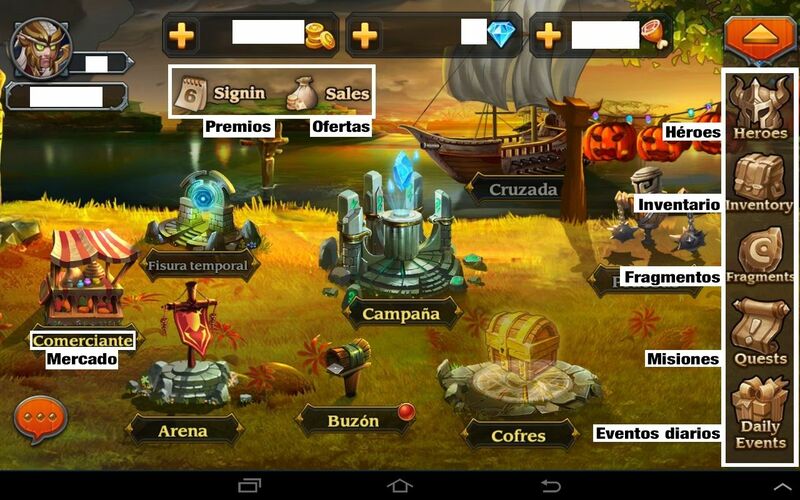 when i turned UI english saw this "habilidad" in real is agility. just change habilidad per agilidad. not remember other wrong description, maybe already fixed. i´m new in this forum. gonna try contribute if see something weird hehe.